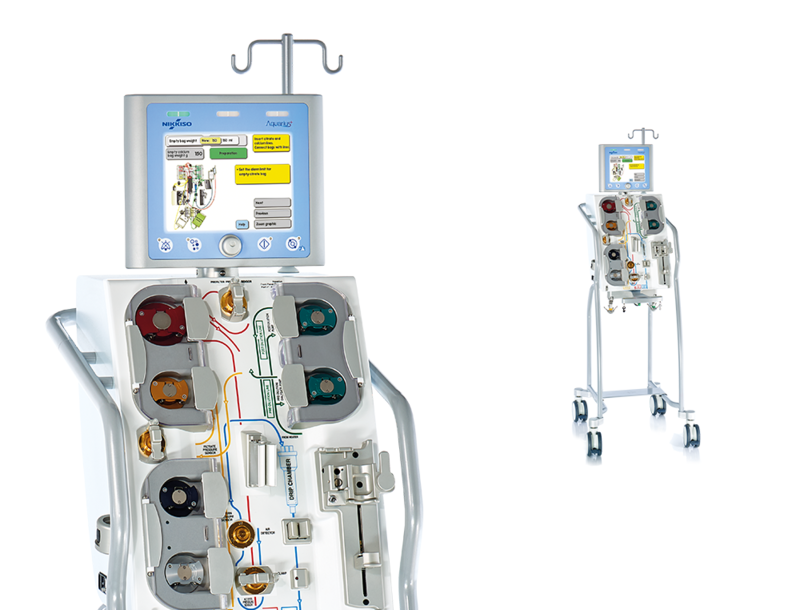 Based on the iconic Aquarius platform, your system can be configured to include a classic heparin-based therapy or with additional citrate capability. 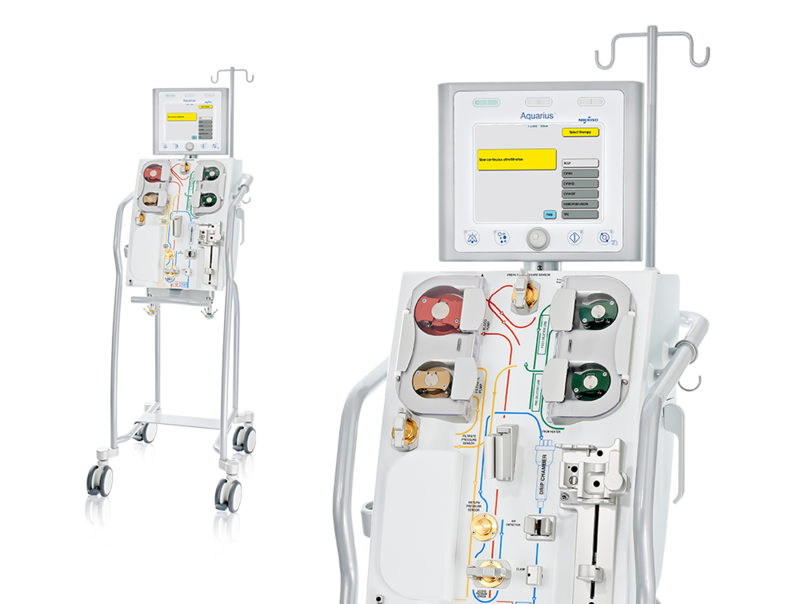 The Aquarius™ System is designed to deliver Continuous Renal Replacement Therapies (CRRT) in adult and low-volume patients (20 kg min.) and may also be used in Therapeutic Plasma Exchange (TPE) and Hemoperfusion Therapies. The Aquarius™ System with Software and Regional Citrate Anticoagulation (RCA) includes all the features of the Aquarius System, and also allows for individualised anticoagulation delivery.